The Baltimore Orioles have instituted a new policy regarding commercial shoots after right-hander Brad Bergesen hurt his shoulder filming a promotional spot in December. Bergesen strained his right shoulder while performing in a commercial promoting Baltimore’s 2010 season. He will see limited action for a week to 10 days after the Orioles pitchers and catchers begin workouts Thursday. 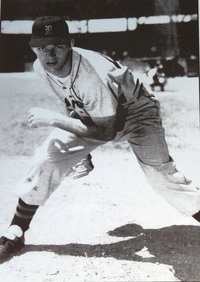 Bergesen had his rookie season cut short last year after being hit in the shin by a line drive on July 30. The right-hander had not thrown off a mound from August until the commercial shoot, and he hurt himself by throwing too hard. Bergesen is expected to be ready before the start of this season. What happened to this pitcher reminds me of how Jose Canseco suffered a shoulder injury from pitching one inning in a losing Oakland A game. Pitching arms can get injured very easily at times. Jamie Moyer reached a rare mark for a pitcher, becoming the 44th to win 250 games. 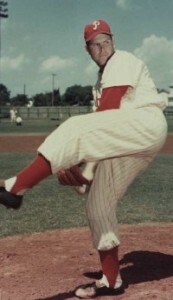 The veteran Phillies left-hander would have been just as happy if it was his first. Moyer went six strong innings to lead the Phillies to their third straight victory, 4-2 over the bumbling Washington Nationals on Sunday. The 46-year-old Moyer is only the 11th left-hander to join the exclusive 250-win list. And despite his teammates’ postgame champagne toast, Moyer’s words lacked the excitement one might expect after such a rare achievement. Moyer has been in the majors for twenty-three seasons and has played for seven different teams. He has owned the Florida Marlins. He is 10-1 against them lifetime. I doubt Moyer will be elected to the Baseball Hall of Fame after his career is over. 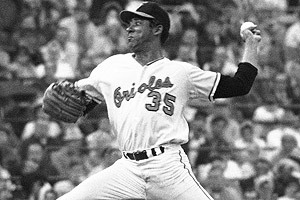 Left handers Jim Kaat and Tommy John have more wins and haven’t made it to Cooperstown.